COLUMBUS—Columbus Metropolitan Library (CML) has hired Susan Zelinski as Chief Talent Officer (CTO). She begins her role at CML on Monday, May 4. As CTO, Zelinski will be responsible for overseeing the library’s Human Resources department. A Columbus resident, Zelinski received her Masters of Labor and Human Resources from The Ohio State University’s Fisher College of Business. She currently serves as Vice President, Human Resources and Senior HR Business Partner at Fifth Third Bank. 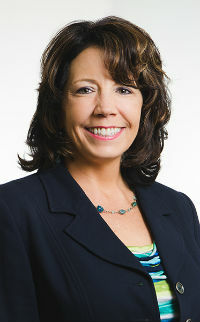 Prior to her work at Fifth Third Bank, Zelinski held human resources positions with Nationwide Insurance and Columbia Gas. For the past two years, Zelinski has served as a member of the Friends of the Columbus Metropolitan Library Board, chairing its Business Management Committee. CML’s previous CTO, Cherie Lamborn, left to pursue other opportunities in December 2014.